“Would you be interested in debating Matt Dillahunty?” That was the question I received in July of 2018, from one of the organizers for the Texas Baptist Unapologetics Conference. “Hmm . . . I don’t know,” was all I could say. I’d seen the scathing videos from Matt’s show, The Atheist Experience, and was aware of his Hitchensesque rhetorical ability. “Well, it’s okay if you’re not interested. I’m sure Frank Turek or Mary Jo Sharp would be willing.” This passing opportunity stirred something in me. “Now, hold up! Just give me a minute to think this through!” He gave me every bit of that minute, and not a second more. I said, “yes.” That man was my friend, Leighton Flowers, and he’s devilishly convincing. I was in! The debate question: Does the Christian God Exist? 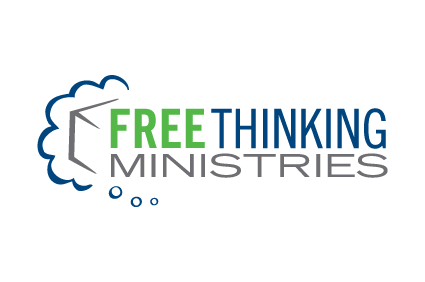 I don’t want to drone on with unnecessary details, but what makes this relevant in a blog like this, on a site like Free Thinking Ministries, is that my past two live public debates had been with Calvinists. I had also contributed a chapter to a book with professors from Southern Baptist schools on soteriology, and my chapter dealt with the free will of man. I have two published journal articles dealing with the nature of human freedom. My focused study on the subject stretches back at least ten years. That said, I didn’t want to continue debating Calvinists. I consider myself to be an evangelist. 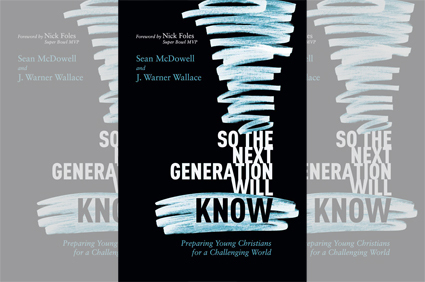 Focusing on unbelievers, I left the soteriology debate behind, but sought and prayed for a way to put the knowledge gained in that study to use in apologetics. I have supporting lines of argument for each premise, and there is much more that needs to be said than what I can sketch out here. In defense of premise (1), if God does not exist, then the universe is merely a natural system of cause and effect. 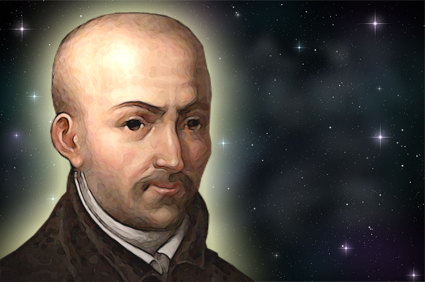 But if God does exist, then it is plausible that he could grant man libertarian freedom. Moreover, there is a strange telos to libertarian freedom. One hundred percent of the benefits afforded to us by it are necessary for relationship building. Those are love, morality, rational affirmations, and pure altruism. Lastly, if God exists timelessly, then there was no prior determinism to lead to the act of creation, meaning that God would have libertarian freedom. So, on the God hypothesis, at least one being has libertarian freedom, making more sense of the notion that he could gift it to creatures made in his image. For premise (2), I use the same reasoning Tim Stratton uses to demonstrate that in the absence of libertarian freedom we are left with the impossibility of rational affirmations, and further, we could only have what I call “moot morality.” That is, whether one becomes a racist engaging in hate crimes, or a benevolent philanthropist, he could not have done otherwise, for all would be determined. The latter is intuitively absurd, and the former is damning to the determinist’s case. As I argued in the debate, if Matt were unsuccessful in overcoming my argument, then on the basis of the debate, libertarian freedom exists, and along with it comes God. If he had been successful in overcoming the argument, then on the basis of the debate, determinism would be true, and he couldn’t rationally affirm anything. You’re darned if you do, and darned if you don’t! Where Craig’s defense of the second premise of the moral argument becomes helpful has to do with intuition and plausibility. It works here as well. 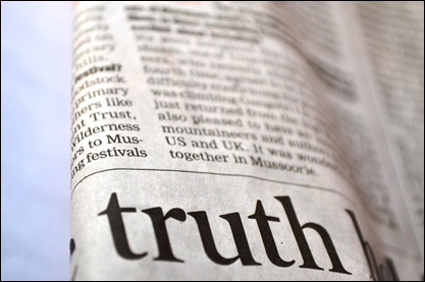 A good argument will have premises that are more likely to be true than false. Any argument formed against libertarian freedom will rely on one or more premises that are less plausible than our immediate experience of that freedom. In the debate, I opened with this argument, followed it with “a case that begins with the Kalam cosmological argument,” and concluded with a case for the resurrection. The reason I say, “a case that begins with,” is because Dillahunty often flat refuses to engage with the Kalam since its conclusion doesn’t mention God. Most readers know that the Kalam merely begins the conversation and defeats possible objections that would otherwise be raised further down the line, but my opponent attempts to circumvent the entire discussion by pointing out that, “The Kalam isn’t an argument for God.” My wording was tailored to that criticism. Simply viewing the cross examination with an awareness of the terrain, it becomes clear that Matt was just unaware of the difference between temporal infinity, and timelessness. Likewise, his use of a calculator as a slam-dunk that purely determined processes can lead to rational affirmations was a definitional confusion of what rationality is, and why it requires libertarian freedom. At one point, he accidentally conceded that he was merely obfuscating, by burying the problems of determinism in a discussion of the complexity of the determinism. I’d have pressed him more on morality, had there been more time. Tim Stratton and I use the same defenses, more or less, for the existence of libertarian freedom (See, The Freethinking Argument in a Nutshell). Despite our discussing only that point for twelve minutes, and my setting up three lines of supporting evidence, Matt’s own response video includes the claim that all I did was defend free will because it feels like we have it. This is incredibly misleading, especially when the only thing I said that remotely resembles such a criticism was presented in the context of epistemology, plausibility, credulity, and the nature of good arguments. It’s not my intent to come off as insulting, but that’s just a rather pedestrian response when we’re discussing matters related to a live, public, scholarly debate. Molinist readers will appreciate that possible world semantics came up during the audience Q&A. 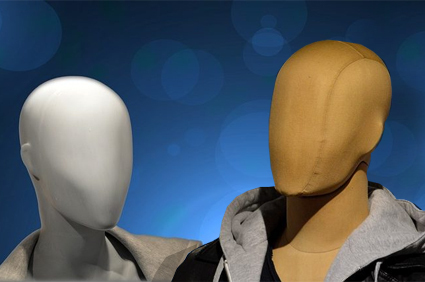 Matt wanted to know why God didn’t actualize a world in which he remained a Christian. Isn’t that a possible world, after all? Indeed, it likely is. But if God wishes to actualize a world of libertarianly free creatures, then we’re left with a subset of those worlds (See, Could Adam Avoid the Apple?). It may well be that among those worlds, there simply isn’t one in which Matt freely chooses Christ. Here again, he was somewhat thrown. I had to explain it at least twice so that he could pick up on the nuanced point. Please understand that I’m not trying to oversell my performance. It’s just that Matt seemed unfamiliar with this stuff. We heard a lot of, “I don’t know.” And let me be clear, that’s perfectly fine. As a lover of learning, I support the humble recognition that I need to learn more. Yet, what Matt didn’t know was surprising. Beyond the philosophical arguments, I spent a full ten minutes of my twenty-minute opening statements setting up a resurrection case, and highlighting what I call “recalibrated plausibility.” There wasn’t anything new in the case, but I underscored an aspect of it that I don’t think receives nearly enough focus. As for what that is, I’ll just encourage readers to view the video. Shockingly, Matt never substantively responded to the resurrection case. He made a few passing comments, but when I asked if I was right that he would not be offering a competing hypothesis to the resurrection, he responded, “correct.” In the cross examinations, he never pressed me on the resurrection case . . . at all! When the debate question is, “Does the Christian God Exist?” that’s quite a telling oversight. 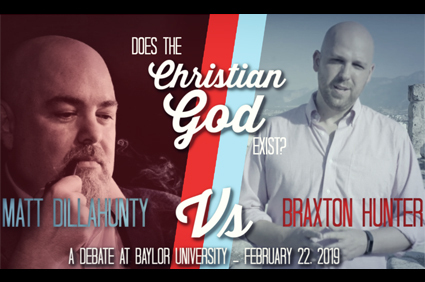 Braxton Hunter, “Matt Dillahunty vs Braxton Hunter (Does the Christian God Exist),” YouTube, YouTube, 28 Feb. 2019, www.youtube.com/watch?v=Y9Uktg9nLx8. David L. Allen et al, Anyone Can Be Saved: a Defense of “Traditional” Southern Baptist Soteriology, Wipf & Stock Publishers, 2016. It’s important to note that I’m not saying what we decide in the debate will make libertarian freedom true or false. I’m referencing what the audience may conclude on the basis of the debate. In this article, I’m focusing on my arguments, specifically the free will argument, and how it faired in the debate. This means I’m not going to spend time discussing the two arguments Matt Dillahunty brought. He discussed divine hiddenness, and what he called, “inconsistent revelation.” I would just direct readers to the debate video for that exchange. The Atheist Experience. “Kalam Cosmological Argument | Josh (Theist) – Dallas TX | Atheist Experience 20.49,” YouTube, YouTube, 22 Sept. 2018, www.youtube.com/watch?v=yeGCIxyAKuU. Matt Dillahunty, “Atheist Debates – Free Will, Faith and Feelings,” YouTube, YouTube, 28 Feb. 2019, youtu.be/QdIHaaiPL9g. Dr. Braxton Hunter is the former president of the Conference of Southern Baptist Evangelists (COSBE), and the current president of Trinity College of the Bible and Theological Seminary in Evansville, Indiana. 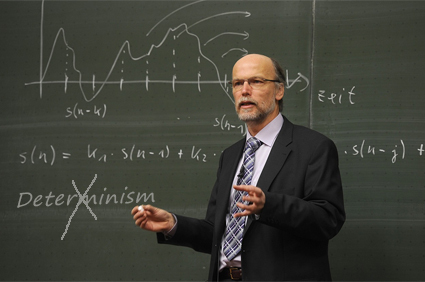 As professor of apologetics , Dr. Hunter is passionate about the defense of the Christian faith in a skeptical world. In addition to conducting evangelistic apologetics events, he has pastored two churches. He has engaged in several live, moderated, academic debates on theological issues and the evidence for the truth of Christianity. He holds a B.A. in expository preaching, an M.A. in Theology, a Ph.D. in Christian Apologetics, and is currently working toward a DMin. Dr. Hunter is the author of Blinding Lights: The Glaring Evidences of the Christian Faith, Death is a Doorway, Core Facts: The Strategy for Understandable and Teachable Christian Defense, Evangelistic Apologetics: Compatibility and Integration, TruthBombs: Brief Thoughts on Big Issues, and The Chronicles of the Adonaifiction series. He is also a contributor to Anyone Can Be Saved: A Defense of "Traditional" Southern Baptist Soteriology. His Journal articles include: A Commentary on Article 8: The Free Will of Man, and A Review of What about Free Will? : Reconciling Our Choices with God's Sovereignty, By Scott Christensen (both from The Journal for Baptist Theology and Ministry). He currently resides with his wife, Sarah and their two daughters, Jolie and Jaclyn, in Evansville, Indiana.